The original sample comes from the record "33/3 Queen - Searchin". 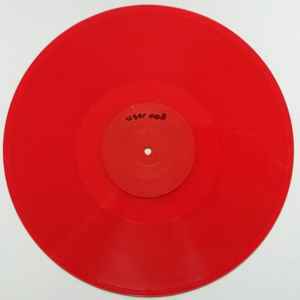 *Centre Label is "Red" on Red Vinyl. Another simple, funky looped dancefloor killer as you would expect from User; this one is based on the Classic "Blow Your House Down" bassline from A Guy Called Gerald, also known as "Searchin'" by 33 1/3 Queen on NuGroove (which also sampled from AGCG). There's someting about that bassline that seems to have almost universal appeal - it has been also used by 3 Guys On Warwick for " Let Me Tell You Something (The Experts Remix)", and sped up to 45rpm by Spiral tribe/free party DJs, among countless other applications. As for this release, it is a pity there aren't the usual variations or aditional tracks but I suppose the red vinyl helps make up for it? One track on a piece of single sided, red vinyl.. which is kind of disappointing because you only get one track out of the deal. It's a good track though, bangin' techno in the 140bpm range with clean drums and enough of a melody that it can be worked nicely into harder or more melodic and minimal sets.. or work nicely as a bridge between the two styles.